Kondratieff Winter seems to have arrived this year as markets attempt to align themselves with this new paradigm. What does it mean? I only know what I read here and several other financial resources with solid records over the decades. I am no expert just an amateur technician and a hobbiest trader (position intermediate term) using my own systems developed with MetaStock and I use Elliott Wave analysis but don't trade strictly based on it. I will post some of my numerous charts and often mention trades I undertake here if anyone is interested. Please feel free to leave your own comments. I am a freak side show, Doc is the real thing! This is my Nasdaq 100 trading system, its been on very good run, hard not to be in a strongly trending market like this. Right now it is showing weakness and I am out. I don't use it to short until there is a longer term sell signal using MA cross-over. Currently it shows an intermediate term sell signal under long term bullish conditions so I am sitting it out. XLE has completed a 5 wave decline (5WD) and now looks to have formed a nice 2-B bottom trade set up. 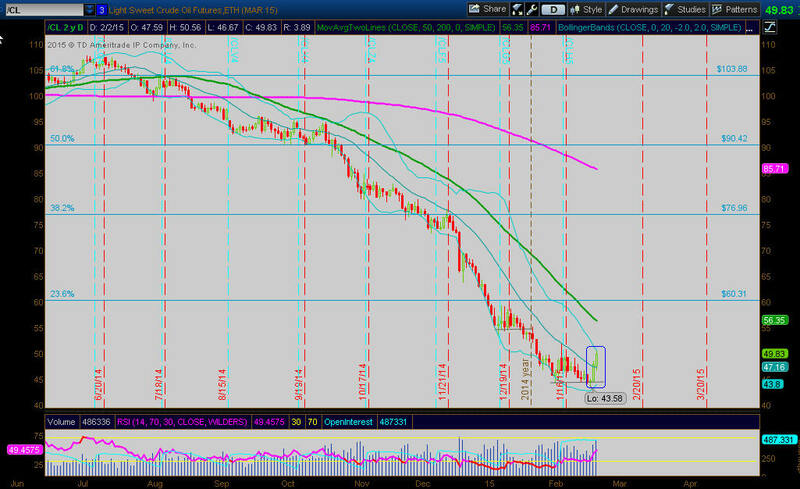 I went long XLE as it recovered from going below the first low, stop is just below this second slightly lower low. Looking to first make it back to the top of the envisioned W middle or last wave up. Then the 2-4 trendline (blue) We could be seeing the first signs of a longer term bottom in crude. Mixed signals here with buy signal on NDX Fri (earlier buy also on RUT) but SPX stuck on sell. I system trade only the NDX so I am long. I would feel better if SPX was also in sync. 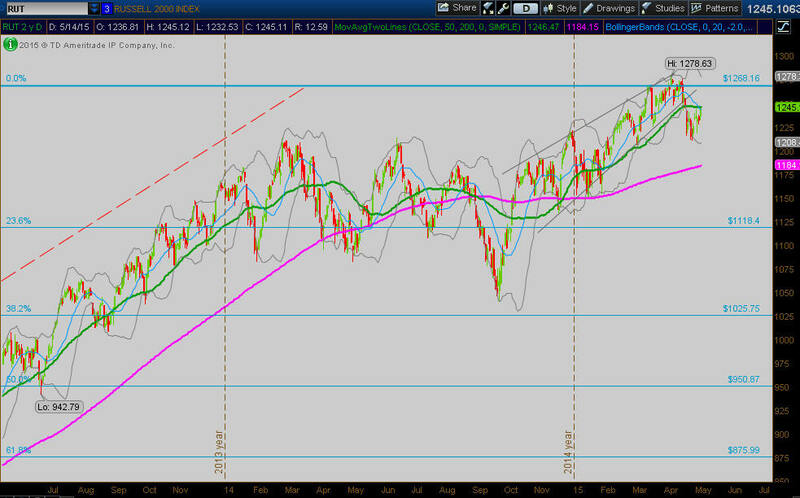 RUT still has to blow out the top of its enormous range before I see the possibility of 2015 as another winning year. Maybe crude putting in a longer term bottom here will dispel some worries of potential negative impacts on the economy at even lower prices and allow the broad indices to continue upward. Sold half DNO today; 44% gain on this portion, strongest bounce and in just 2 days since it began declining so not going to get too greedy. 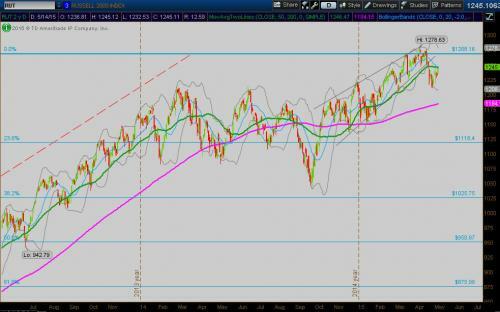 This could be final consolidation prior to one more decline so I 'm holding the other half to see how this unfolds. One thing is crude has strong seasonality with lows most commonly occurring in Jan-Feb. So my NAS100 trade has gone positive, On Feb 12 my SP FCS signaled long, and RUT remains on buy and has indeed broken out of the top of its huge range with strength (lower HI5 osc), so all is back in sync and to the usual market configuration of going steadily higher and shorters being fools. 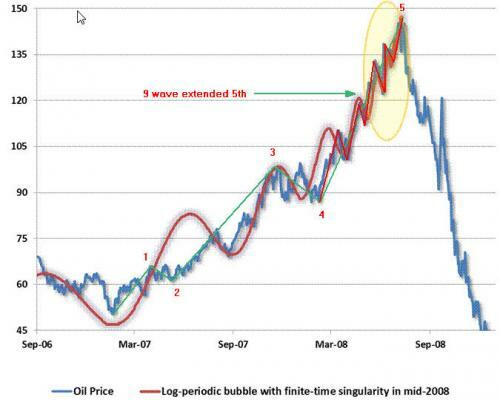 So far this bounce in oil has been extremely insignificant relative to the severity of this crash. 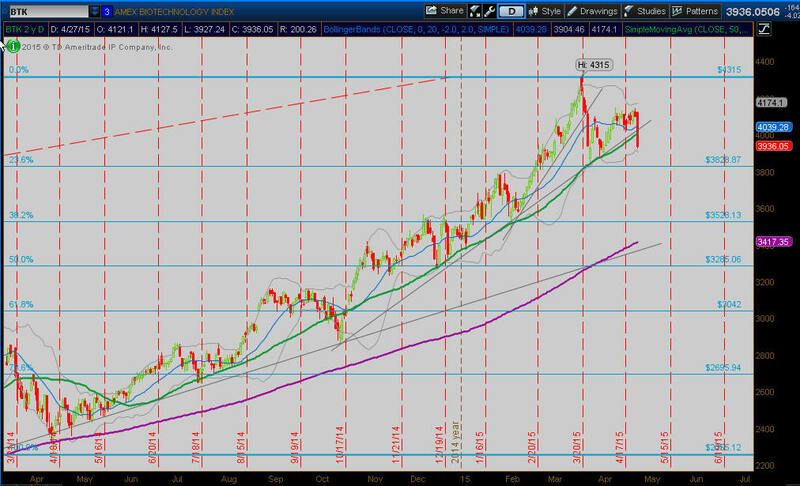 Price has not even reached the 23.6 retracement and even if it does that is not conducive to a longer term reversal. Watching closely which way it breaks from this consolidation, certainly looks like a typical triangular B - wave and another wave up ( a C wave) is due, if it is equal to A it will take us right to the 23.6 retracement. 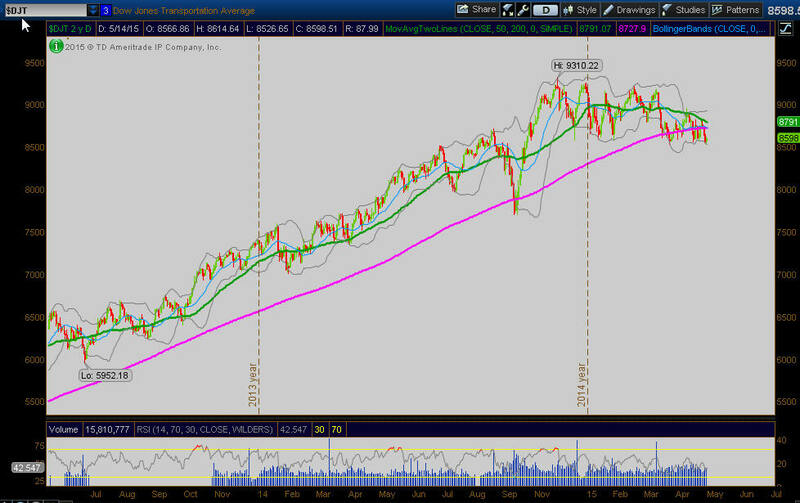 A resistant convergence of the 50 DMA and 2-4 downtrend line is containing price right here. 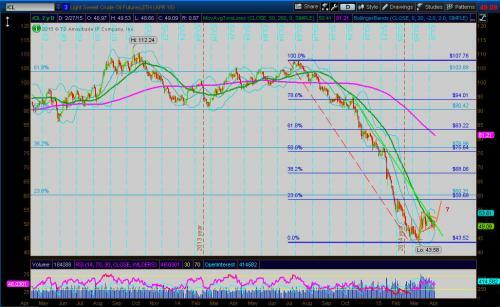 I continue to hold half my DNO short position that is still well into the black. Also holding XLE long position also in black but getting a bit nervous here. If we break down from this corrective consolidation then the lows could easily get taken out. 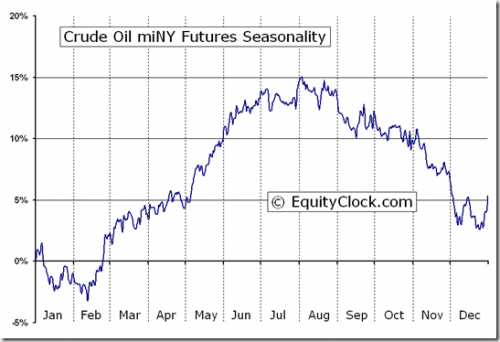 We DO have seasonality working in favor of further uptrend in the oil price. Also watching this break out in equities which could always just be a bull trap; holding long QQQQ with my Nasdaq 100 trading system. Just noticed I haven't commented on the biotechs in this new thread yet, so here goes. 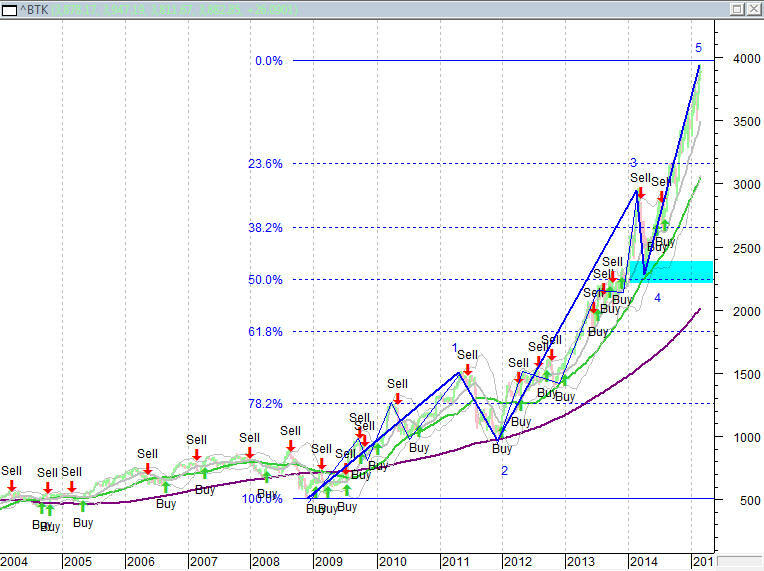 Below is the weekly chart of the Biotech Index BTK . Last spring I did some short term trades when it blew off in its first climax with a exhaustion gap completing wave 3. 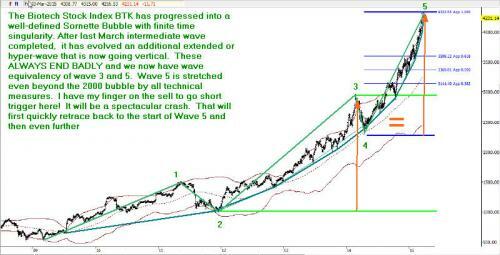 At the time it was feasible that was the final top (wave 5) and it was clearly exhibiting bubble dynamics. It retraced to the continuation gap at the middle of what turned out to be Wave 3 and once again quickly resumed its uptrend. I have labeled the wave structure. Generally Wave 3's are the strongest and longest, however in extreme mania's the 5th wave gets "extended" and can be stronger and even longer. It will show rather than the typical 5 wave impulsive wave structure ( see my lines delineating sub structure of waves 1 and 3) a 9 wave or even 13 wave impulse. 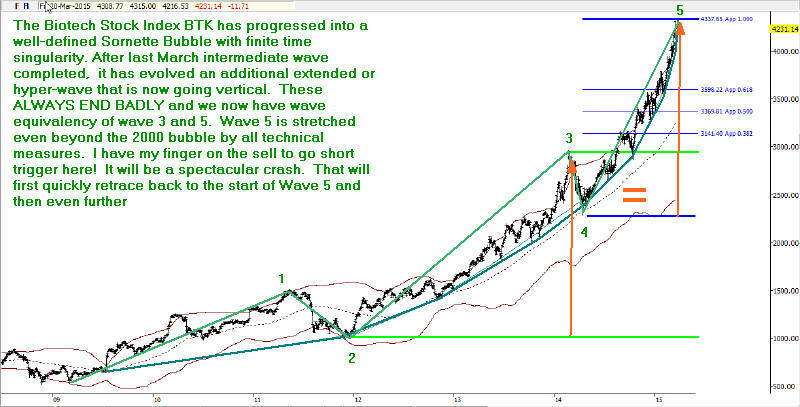 This wave 5 is hard to count but is clearly impulsive and complex confirming it is a FINAL extended WAVE 5. I think there are only 8 subwaves thus far, so we may have more upside here likely to just over 4000, that would better align the Fibonacci grid so that wave 4 ended right at the 50% fibo. of the entire rally. Things are obviously stretched in every time frame as price is far above 50 and 200 week MA and price poking out above the 20 period Bollinger Band... but I don't see final blow off signal such as exhaustion gapping or a candlestick structure like a high wave doji or shooting star. Anyway once this wave does show signs it has ended we can expect a minimal retracement back to wave 4 (also would be common 50% Fibonacci retracement) and usually with 5th wave extensions things get uglier since they happen in bubbles. This will offer a great shorting opportunity for fast money. Interestingly my trading systems performance when applied to the biotechs has consistently underperformed the Nasdaq 100 due to much higher volatility and chaotic fractal structure that's why I only system trade QQQ. NOTE: March has been the most common month for major tops and bottoms in equities. 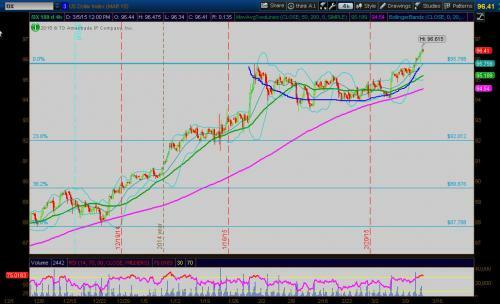 USD very constructive saucer consolidation still looking extremely bullish. Now took out prior high, I added a bit here to my USDU, stop just below the first high. 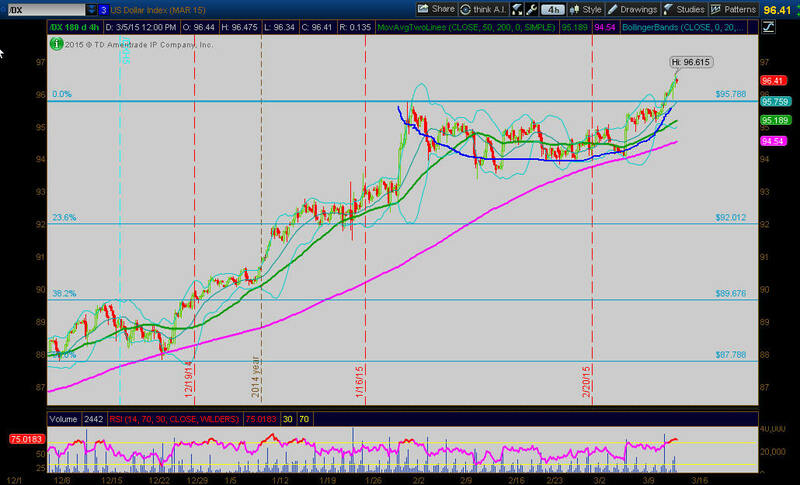 This likely will form a handle to complete a cup and handle formation providing another opportunity to add! Doing very well with my first two positionings into this trade, see prior posts previous thread. Besides this trade holding DNO crude short and QQQ long. Looks very likely this is an intermediate top in the dollar and bottom in Crude. I closed out the other half of DNO crude short trade and all of USDU dollar long trade for very nice gains. 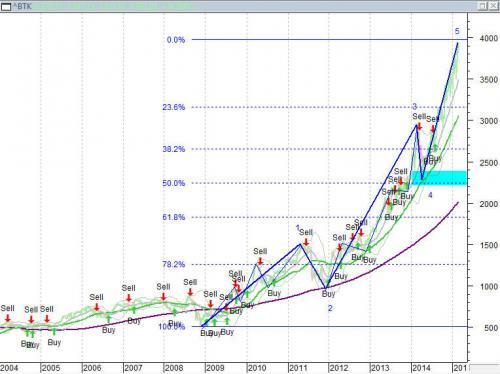 The Biotechs are in full blow out mode reaching 2000 extreme extremes by technical measures. Today this wave (5) now is exact price equivalency with wave (3) and likely top. But of course it is possible it could literally keep vertically exploding to the 1.38 extension. For you astrology buffs today was the event confluence of the Spring Equinox, a Total Lunar Eclipse, and a Super-Moon! Waiting to see if it does result in the "end" Things that make you go hmmm! Here's a prettier chart. Friday was a nice big candlestick reversal bar. Looking here for the really big one to hit and likely this will signal a risk off move in the broad indices as well. BIS is only inverse BTK etf available but it is 2X leveraged, this should be a really spectacular crash so should not suffer much beta loss holding it longer term. Market has been uneventful for quite some time...today there was a big smackdown in biotechs that broke initial support. If there is a decent pull back that creates a lower risk entry for a position trade I may try to short it. Too nice out now to be at the screen all day and day trade. 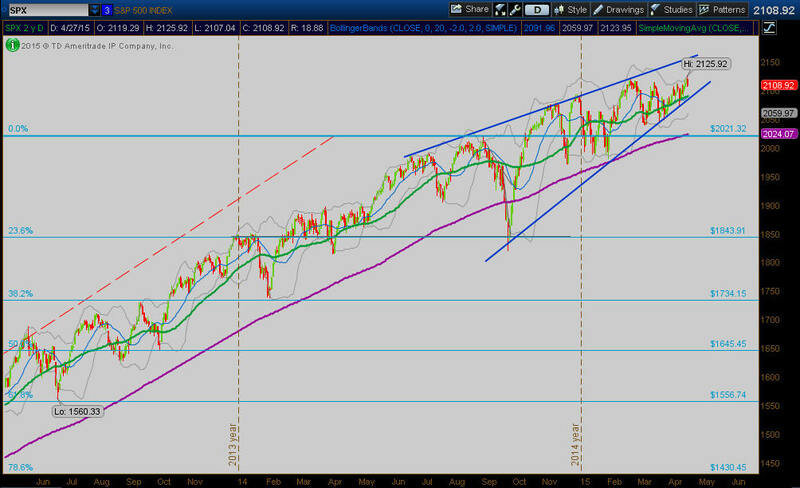 This could be the first indication the market is entering risk off mode and ready to dive. Then again I suppose even with mediocre economic numbers as long as the Fed is supporting the bubble it could continue in this sideways mess with a gradual upward bias for years. I also see nicely defined large ascending wedges completing on many indices and sectors. And the Transports have been sickly for some time now. So I think this may be a possible crash window. Glen Neely has a pretty good record and he sees crash before end of this year but won't narrow it down any further until some shorter term patterns emerge. He says SP is going to 1000 in quick fashion like the last crash when it does but he doesn't see the 2009 lows taken out. Yawn...oh the markets ...Looks like this is the last chance for a big break out if the Transports and Biotechs along with the Nas 100, oh and better add the RUT can all get their act together. 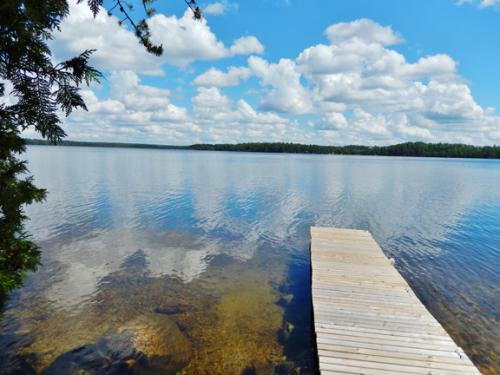 Soon I will be heading to God's country and no I don't mean friggin' Texas, Canada so I won't be paying much attention here anymore as if I have anyway. There hasn't been anything tradable in this endless, boring, mess since dollar peaked and crude bottomed. I am hoping this churn will just go on through the summer like it did last year and hopefully by Fall something significant will happen. 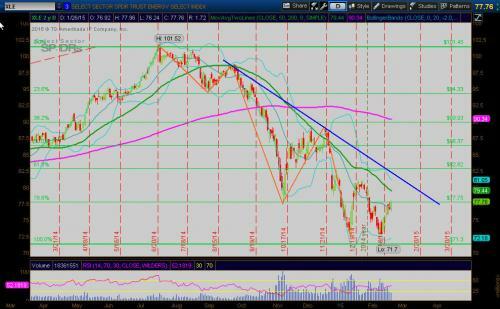 Note: I always use thick green line for 50 day simple MA and purple for the 200 day. Also a std 20 period Bollinger Band. 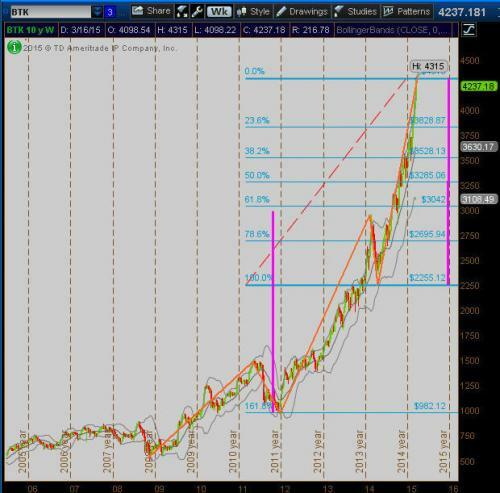 I generally place FIBS and various Trendlines if of value. If a possible tradable TA pattern or EW pattern emerges I draw them in. Lower panel oscillators I strongly favor RSI and my own variation called HI-5 on my Metastock charts. Sometimes I will use another volatility measure but usually the BB width tells the story. Lastly on my Metastock charts you will see a thick PINK line (XPL) that is my own proprietary moving average but it doesn' act like any MA you'll ever see and it an important part of my trading system! A bit more technical indication this is a giant rolling top, the standard MACD on SP monthly has officially crossed. But no sell signal on the LT RAFF but I think we are getting very close. Speculative sectors still holding like the biotechs. Gold and Crude sure look poised for another dive!